What is interesting, however, is that a surprising new country can now be added to the list. 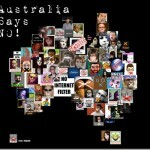 Australia conducted trials earlier this year to test a filtering program that would block selected URL’s. Led by Senator Conroy, the goal of the program is to block sites that are considered sexually inappropriate. He says some internet content is simply not suitable in a civilized society. The government said Tuesday that it will introduce the legislation next year. Critics say it will not prevent determined users from sharing such content, and could lead to unwarranted censorship by overzealous officials. Many will remember an incident last year when six UK ISP’s blocked Wikipedia altogether. The reason for the entire website being added to a blacklist is this page, an article on Virgin Killer, a 1976 heavy-metal album by the German rock band Scorpions. The cover art, with a history of controversy since its release, was deemed inappropriate by the British Internet Watch Foundation. This comes on the foot heels of President Barack Obama’s talk last month in Shanghai in which he criticized internet censorship. Content measurement, relevance and quality are the key to the coming year. There will be a surge in companies adopting social media platforms and demanding ROI. Look for new geo-tagging applications to help people find each other on the move with their mobile devices. Read Write Web predicts 10 changes for 2010. Want to know more? 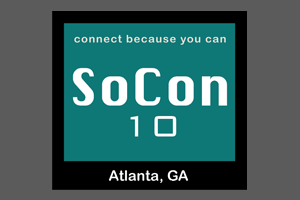 Come to SoCon10. Miley Cyrus is the queen of social network nightmares. The provocative photos that she posted on her myspace went viral, causing a stir around the world. And recently here in Atlanta, a teacher was fired for posting photos of herself on Facebook simply holding alcoholic beverages. With 87% of Americans now using a social networking site, perhaps we should learn from these stories to self-censor. CareerBuilder’s latest survey found that 45% of employers are using social media to look for potential employees. An additional 11% are using these sites to perform background checks. So, should there be a separation between our personal and professional lives or do these social networking sites provide an invaluable tool for employers to screen potential employees so that they can ensure their brand is protected from Cyrus-like drama? I caught up with a few folks to find out. 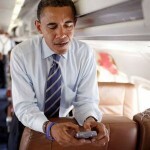 Do you follow President Obama on Twitter? No, you don’t. The President admitted on Sunday, speaking to a young audience in Shanghai, that he has never used Twitter. Obama was elected largely due to his creative and innovative internet campaign that leveraged YouTube, Facebook, and Twitter accounts to reach millions of voters. According to a NYtimes article, these accounts have been taken over by the Democratic National Committee.